1. Applying for a conclusion on the expediency of the engagement of foreign labor from the Federal Employment Service. 2. Applying for a permit for the engagement of foreign labor from the Migration Service. 3. Applying for a work permit for a foreign employee from the Migration Service. Completion of the above steps can take four or more months. As a result, it is criticaI to begin the application process as early as possible. 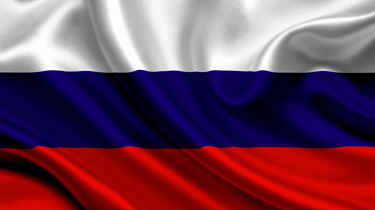 In general, any foreign citizen who works in the Russian Federation must hold a work permit, and the employer or purchaser of work (services) of such foreign citizen must hold a valid employer permit to hire such an individual. For a citizen of a CIS country who does not require a visa to enter Russia, only the individual work permit is required; for a citizen of Belarus, neither permit is required. All payments to employees who are Russian nationals are subject to social fund contributions at the aggregate flat rate of 30% until the cumulative amount of remuneration of the employee for the year concerned reaches RUR 568,000 and at a rate of 10% on the earnings in excess of this threshold. Earnings of employees who are foreign nationals (except Highly Qualified Specialists; see Section 1) are subject to pension fund contributions at a rate of 22% until the cumulative amount of remuneration of the employee for the year concerned reaches RUR 568,000 and at a rate of 10% on the earnings in excess of this threshold. Earnings of Highly Qualified Specialists are not subject to Russian social fund contributions. In addition to the above social fund contributions, an employer must pay separate contributions to the Social Insurance Fund separate contributions insuring against accidents at work and professional diseases on behalf of a ll of its employees, including all foreign employees. The flat rate of the contributions ranges from 0.2% to 8.5%, depending on the class of professional risk associated with the employer's industry and activities.